1. Finding labor. In a political environment as fraught as the current climate, issues such as work force immigration put tremendous pressure on employers. 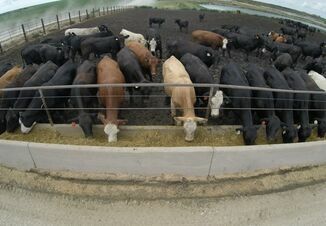 Dr. Corbin Stevens, a veterinarian for Production Animal Consultation in Scott City, Kan., works with several feedyards, and all of them struggle to fill open positions. This difficulty in attracting employees makes the potential for sustainability and future expansion problematic, he says. 2. Managing antibiotic usage—and public perceptions. If the industry can continue to improve judicious use of antibiotics and demonstrate, by educating consumers, the importance of antibiotic stewardship while improving animal welfare, Dr. Stevens says it will be a sign we’re moving in the right direction. 3. Pushing technology growth. Dr. Stevens says it’s frustrating that there doesn’t seem to be enough capital to drive tech development, potentially because of tight profit margins and the perceived fear of losing intellectual property. 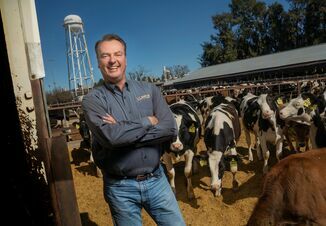 Industry leaders like John Deere drive growth on the crop side, and the livestock sector could benefit from similar leadership. So what’s the solution? There’s no clear silver bullet, but Dr. Stevens offers these suggestions to take steps in the right direction. 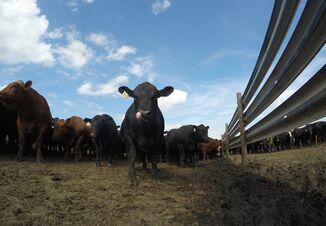 Feedyard operators, peer groups, veterinarians, nutritionists, academic institutions, and pharma companies should work together to leadership the current thought on antibiotic usage and to engage tech accelerator programs to help solve the labor issue. For example, a driverless feed truck that still requires human supervision may not reduce labor needs, but new technology that reduces the number of necessary difficult-to-hire positions could be a game-changer. Dr. Stevens reminds us that cattlemen are traditionally very independent-minded, but taking steps toward leadership collaboration that stimulates labor efficiency would also improve labor turnover creating a brighter future for beef. What are the biggest challenges you’re facing? Share your insights in the comments below.